Do you remember those times when we were kids and had no worries? No stress to win money to pay the bills, school or other investments and so much free time! One could daydream to what he will one day become, either inspired by parents, other persons or just because of each own’s passion when playing. Still what you once wish, will often not become true as we change, grow or just because of external factors. In time, the job landscape has changed a lot and what worked 10 years ago doesn’t necessarily exist today. The internet and ever-changing technologies have had a big impact on those of us who are under 40 years old today. 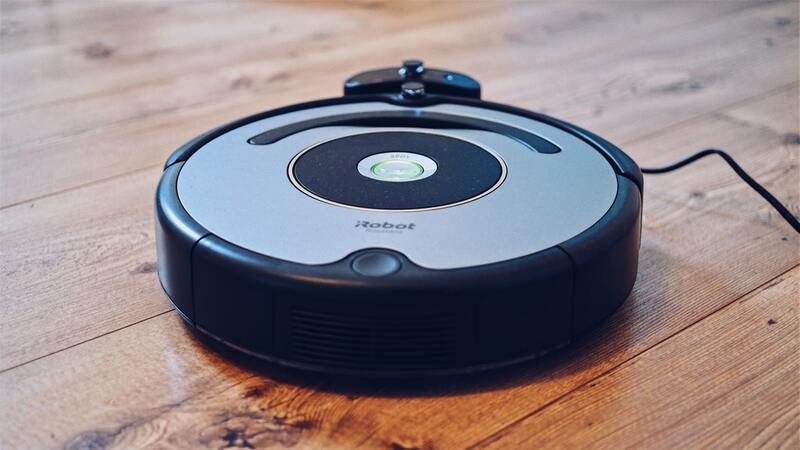 The trends will keep going, as we see more and more as cognitive technologies and artificial intelligence begin getting introduced in our lives. What about us, the Topcoder UX & UI designers? I am sure nobody dreamed about becoming a UX designer as a kid, but went into other fields like programming, engineering, architecture, arts, mechanics, etc. Somehow after graduating we adapted to the web or print design field and then UI and UX, learning ourselves from the Internet or friends, adapting from year to year to trends or new programs, improving our process with every new project. 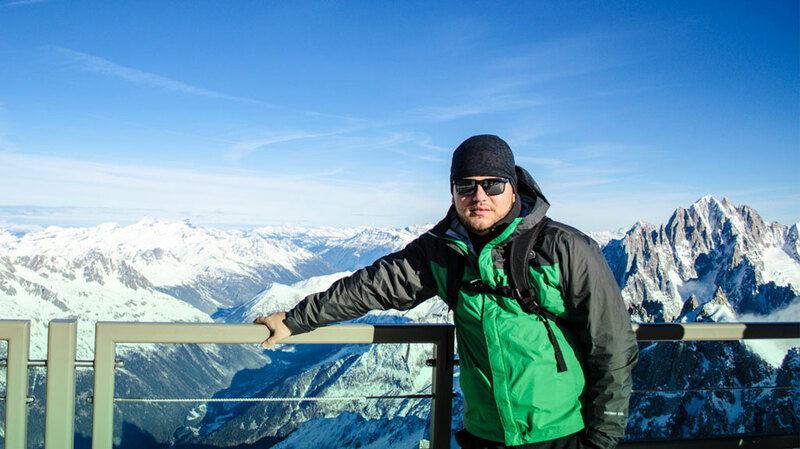 Getting into Topcoder, is like going to a training camp for the olympics: many train but only 10% advance to the main competitions (stick to this work model) and from there only the best of the best get the golden ticket to attend Topcoder Open. 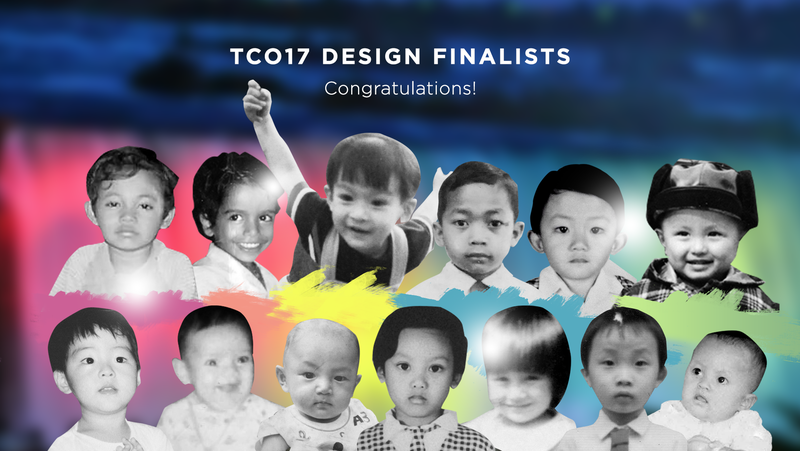 This article is about them, the TCO17 design finalists who managed to qualify for the main event in Buffalo, New York. 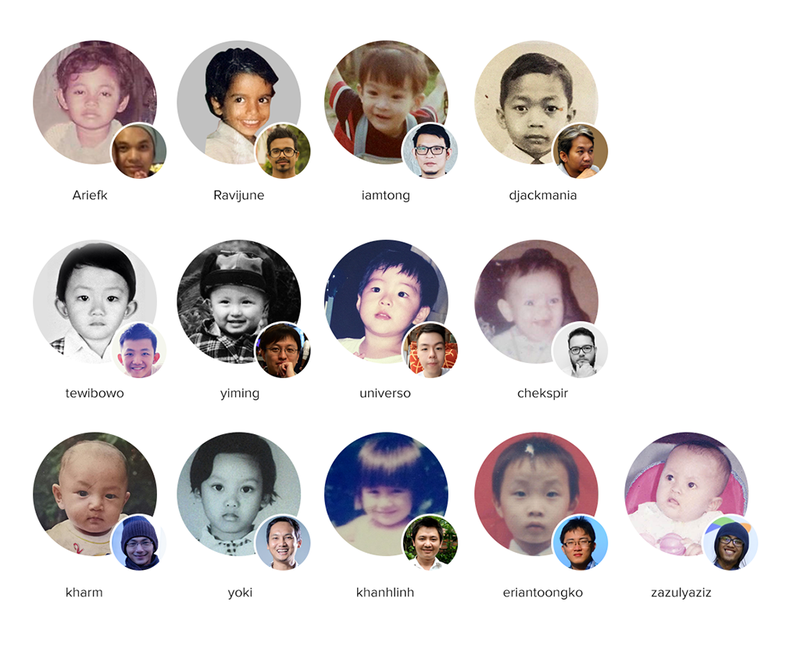 Congratulations to abedavera, Ariefk, chekspir, djackmania, eriantoongko, iamtong, khanhlinh, kharm, Ravijune, Tewibowo, universo, yiming, yoki and zazulyazis! Can you recognize who is who from the photo below(all except abedavera)? Their cute, younger version is very easy or very hard to spot! Keep reading to find out more about them. This year’s qualifications were very tough, because of the lower number of challenges and high competition. What was your secret to get the golden ticket? Ariefk: It looks like I’m just lucky. But one thing in every challenge, I always focused on one challenge. I totally followed one challenge and got the placement which was better than following 2 or 3 challenges at once but without being focused. chekspir: Yes, I totally agree, this year was very tough. It wasn’t easy at all. I think that working on LUX/RUX challenges helped me to get the points. These kind of challenges offered good points to qualify, but also required a lot of work in a very short time. djackmania: Focus on challenges that I think had a chance to win. eriantoongko: Honestly, I never thought or planned to qualify this year, though that was on my bucket list! When I heard that my name on the finalist list, I was surprised and jumped up to my ceiling! The secret? I think winning in the two RUX—which were fun challenges—brought me to winning the golden ticket. iamtong: So as a regular submitter, I don’t think it affected me much, I just kept submitting. But obviously LUX/RUX challenges played the big part in qualification periods. khanhlinh: I tried my best for all the challenges I have joined, concentrated for finishing the winning checkpoint challenges first. Read challenge spec carefully, ask questions in forum for more clarity. kharm: No secret I think, but I performed better when I didn’t pay much attention to entertainment. Ravijune: The major thing that motivated me is to get qualified for TCO17. The best event one could ever be a part of. Tewibowo: The secrets maybe never give up, keep challenging yourself by competing in every challenge at Topcoder and of course luck really matters. universo: 15 hours per day in front of the computer, especially on busy weeks. yiming: Perseverance + a little bit of luck. yoki: I really want to see my fellow Topcoder friends again as we had a wonderful time spent together last TCO16. zazulyaziz: My biggest secret is the Internet. I learned many things on the Internet related to UI UX. I read the UX articles and ebooks, followed the trends, joined some online training, watch UI UX Videos on YouTube and also I have many Designer friends surrounding me who always inspire and teach me. If your best friend wanted to be a designer and join Topcoder, name 2-3 pieces of advice you would give them to succeed. You must have “PASSION” in your self and totally focus on every challenge. Don’t forget to prepare snacks, coffee, playing the game and watch movie. Learn something new everyday. Doesn’t matter if is a design technique, or a new tool/software, or new concepts, just try something new everyday. Be honest, with yourself and with the community. djackmania: Keep submitting and learn from others. eriantoongko: First, read the spec carefully. Second, post your questions in the forum if in doubt. Third and I think this is the most important thing: do your thorough research, then make a to do list and complete the tasks right away. If you really love graphic design, join Topcoder, you can learn a lot from others competitor. If you want to be successful, never give up. kharm: Keep your life balance, health and relationship first, your youth doesn’t come twice. Ravijune: It’s the best place to learn from the best of the best designers, also it could help you financially if you are really enthusiastic about learning Interaction design. And you’d have great flexibility to work from anywhere you want. And the best part, you meet like minded (Designers) people and could make friends for life. yiming: Keep calm and think more. TC is the best place for you to develop your design skills and knowledge. Design until you get your first dollar!! If you failed, follow 2nd rule. zazulyaziz: First, always learn and practice. Second, try to make portfolio, as many as you can, and the last is find other UX designers and make them your friends. As a kid, what did you want to become when you grew up? chekspir: Honestly I wanted to be an Astronaut. Who has never dreamed of going to space? eriantoongko: I remember back then I have plenty of them! First, I wanted to be doctor—the general dream of every kid, then writer as I read lots of books, a professor since I found the word was very cool, a chef, a botanist, a detective—shout out for all Three Investigators and Enid Blyton’s The Famous Five readers. Que sera sera! iamtong: I always wanted to be an architect, I liked drawing since I was kid, and always imagined if I could design/ build my own house, cool buildings, etc. It would be awesome. Ravijune: I always wanted to become a good artist (Fine arts). Like I love exhibiting my works, which I did back in college. Would love to have one again. zazulyaziz: Back then I was really wanted to become an artist or a painter. I also want to become a motoGP racer since I’m a Valentino Rossi fans. Still curious to see who’s who?